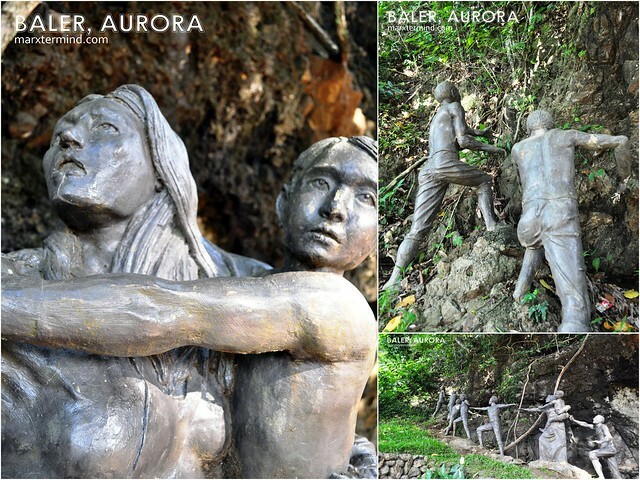 Who would have thought that the remote coastal town of Baler in Aurora province is now a growing tourist destination? A place encompasses by various spots and attractions may it be nature or historical sites. 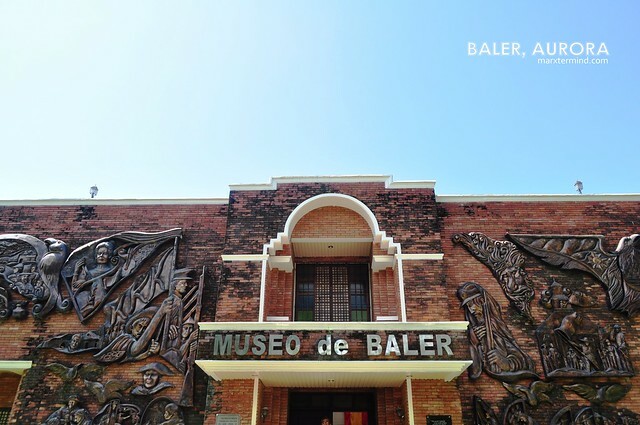 After our visit to the old balete tree in Maria Aurora and Ditumabo Falls in San Luis, we went back to the town proper of Baler and explored the historical side of the town. 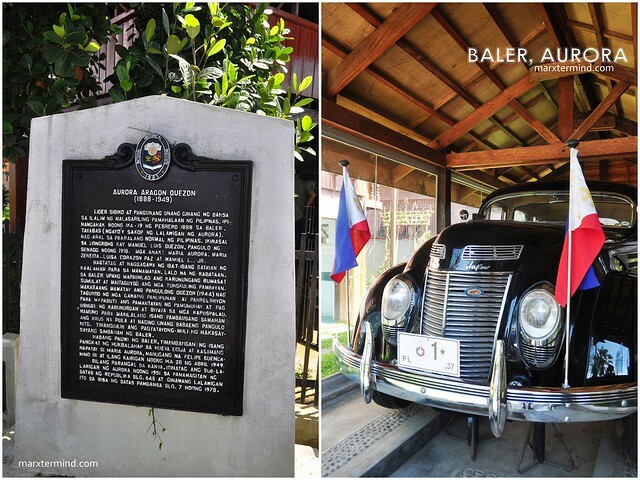 We started the history trail of Baler by visiting the Quezon Park. The park was developed in honor and in memory of the late president Manuel L. Quezon who was actually born in the province of Aurora. 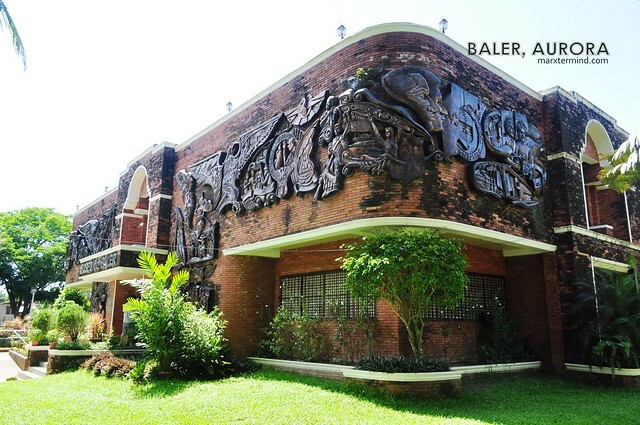 Just located inside the park was the Museo de Baler is. The museum has two floors that houses interesting artifacts showing the history of Aurora. There are paintings, figurines, clothing and other form of art works showcased inside the museum. There’s no entrance fee but registration is needed to freely roam the place. Since it was free you might else want to donate for the keep up of the museum. 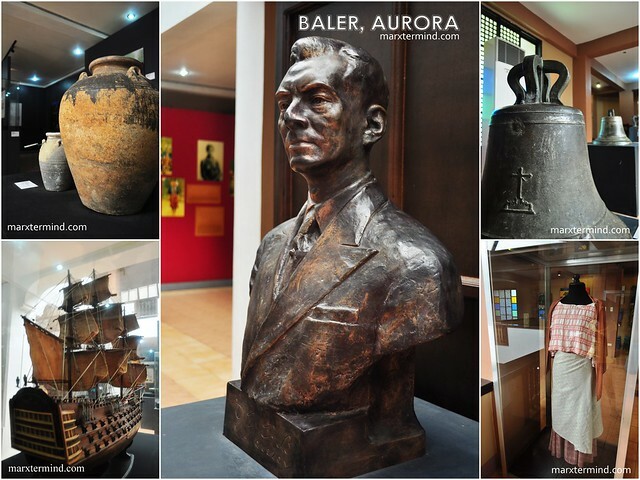 After the quick tour, we left the museum and moved on to our next destination, the Aurora Quezon house. 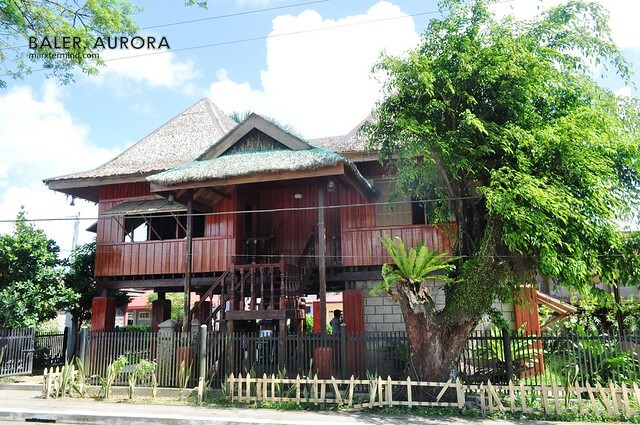 Just a few minutes ride from the park was the Aurora Quezon house is. At first glimpse, the house looks usual to me as I seen same houses like this before, a house built in traditional Filipino style. But as you enter the vicinity a sort of history about the house and Aurora Quezon will be unfolded. 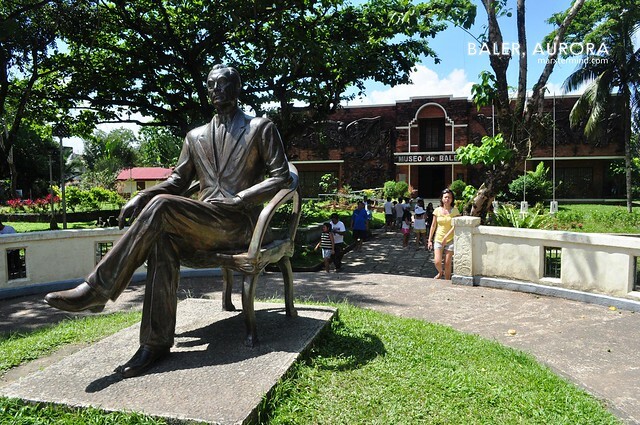 Baler was home to both Manuel and Aurora Quezon. The original owner of Doña Aurora’s house was Zeneida Molina, who married Pedro Aragon. No records exist for the birth date of Maria, their oldest daughter, but documents exist showing that their second daughter, Emilia, was born in the house in April 1877, verifying the existence of the house at least to that date. Aurora, their youngest daughter, was born in the same house on Feb. 19, 1888. The house was burned during the Philippine Revolution but was reconstructed after the siege. 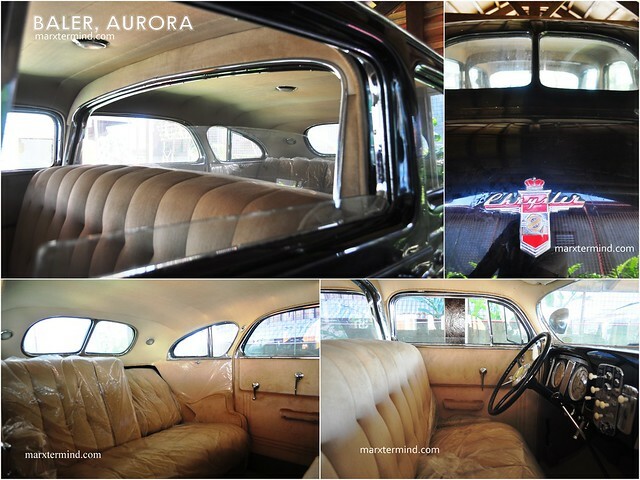 Just besides the Aurora House was the presidential car of the late President Manuel L. Quezon. It is on display besides the house. I’ve seen alike on display as well beside the Museo de Baler. 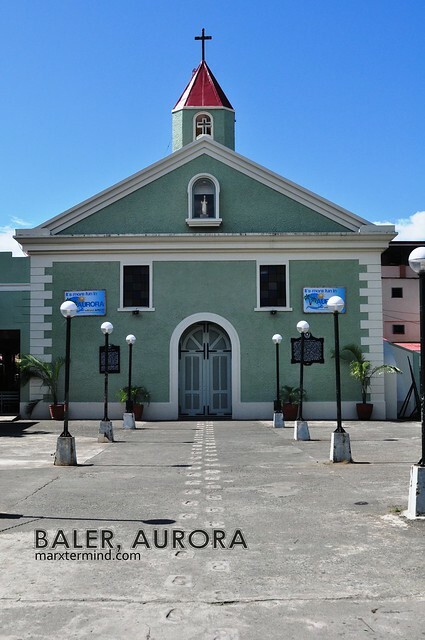 Another thing that I would like to see in Baler was the Catholic Church I’ve seen in the movie, Baler. I was fascinated with how the old church looks like atop the hill. But to my surprise this was how the church looks like now. Then I realized that the movie was set during 1890s. Of course, there were changes from then on which leads to the change of the surroundings and the church as well. The church is located just across the Aurora House. 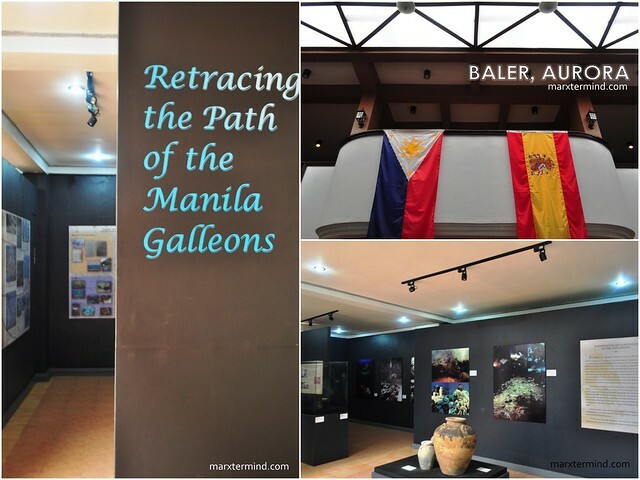 After looking back down the history lane of Baler, we moved on to our next spot. We went to Digisit beach and see the Aniao Islet, which I will talk about on my next post. Following which was our rambling hike up to Ermita Hill. It is said that Baler was washed away by a tidal wave in the 17th century. Thousands of lives were lost and only few families survived when they went up to the nearby hill which is now known as the Ermita Hill. Today, the hill is now a popular spot for overlooking. 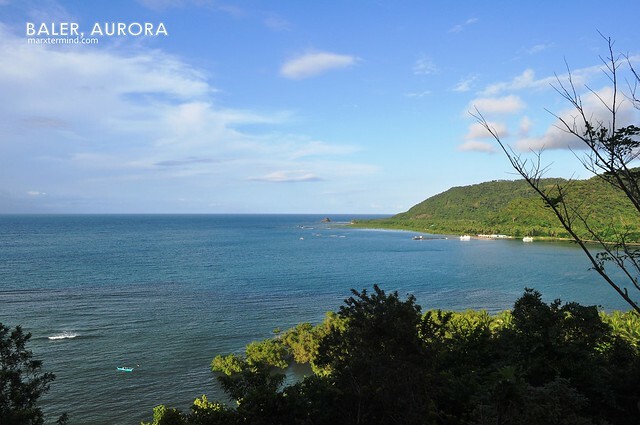 From there, you can have a fantastic view of the sea and the town of Baler. There is a wide open space on top. If you go further, you can see the cross on top of the hill. 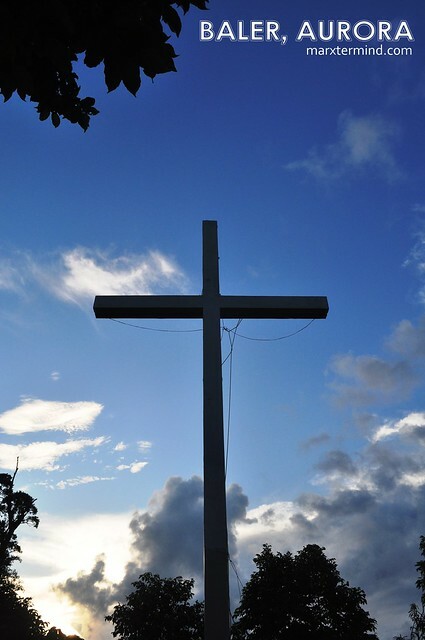 Despite the exhaustion I was already feeling due to the never ending walk and tour we’ve done the entire day, my friend and I still went up to see the cross. We’re already here why not go, right? I have to admit, this one was one of the toughest hike I’ve done. Fatigue, dehydration, name it. I feel bad that time. The 100 steps to the cross seems like thousands steps. But after all the endeavor, we’ve made it to the top (with gasping for air). There’s nothing fancy about it. We couldn’t even have a panoramic view of the sea because the tree obstructing the spot. Though, the feeling was a bit fulfilling as we made it to see the cross. It was indeed an experience. Few minutes later, we’ve decided to went down. We left Ermita Hill and went back to our home stay. It was a tiring day but at the same time satisfying as we were able to explore the various sides of Aurora and the town of Baler. Sa dami ng napuntahan nyong lugar, tiyak pagod at sakit sa katawan aabutin mo. Sana makapunta rin kami diyan. love historical places at nature trip. ramdam ko ang feeling…chos! infernes samin, di namin inakyat yung cross..hihi..